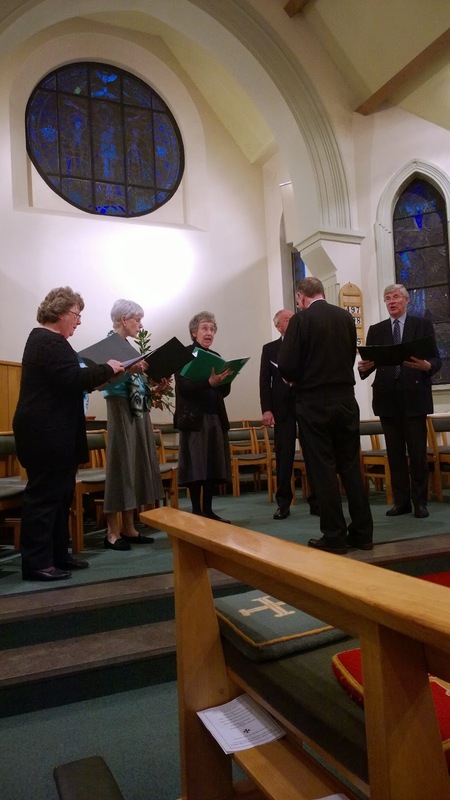 The Grand Priory of Great Britain organised a lovely concert of organ music and some pieces sung by the choir at the church of St Joseph in Stokesley, North Yorkshire recently. Parish Priest, Fr William Charlton, somewhat surprised his congregation with his prowess on the organ (obviously during Mass he's usually rather busy elsewhere). Fr Charlton became a Chaplain to the Order of St Lazarus earlier this year in Derbyshire and organised the recital in support of our charity in Sri Lanka, SUROL, looking after those suffering from leprosy. We were delighted to see a full church and rejoiced at the generosity of the parishioners in giving £1,000 to the work of the Order. A big thank you to Fr Charlton, the singers and parishioners - as well as those who organised the refreshments afterwards. Fr Charlton conducting the schola. In a fitting link to the Order of St Lazarus, there is a fine window depicting the raising of Lazarus in the church (pictured above). 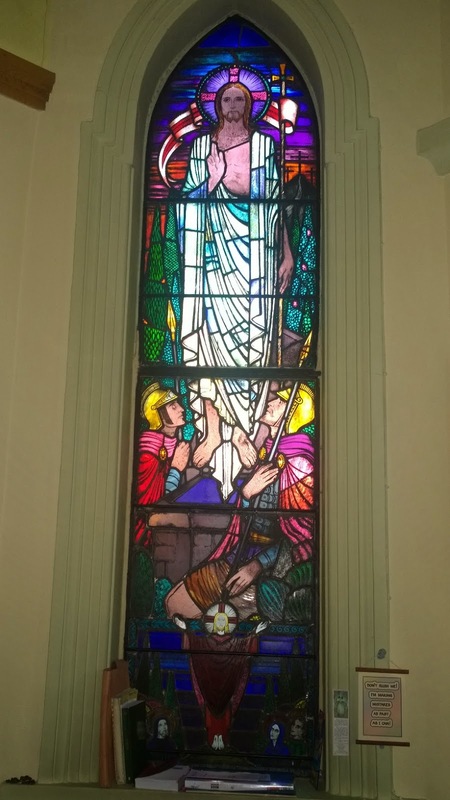 It's one of a series designed in the 1940's by the then Parish Priest, Fr John J. MacDonnell. Some of the others are pictured below. They are very atmospheric and although traditional in style at first glance, have a definite modern twist to them. Perhaps part of that tradition that is sometimes called the "other modern", when referring to ecclesiastical works of art that are innovative but remain in the tradition of sacred art instead of aping the nihilistic forms of secular modern art that we have so often subjected to in churches over recent decades. My Favourite. 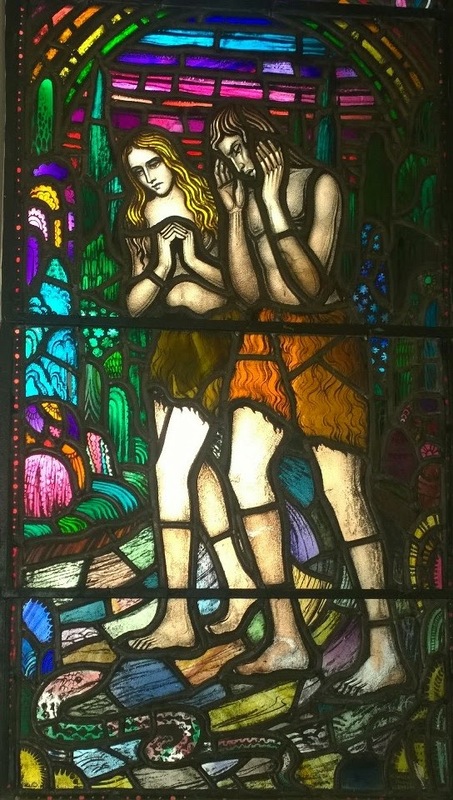 The expulsion of Adam and Eve from the Garden. A detail from the Expulsion. 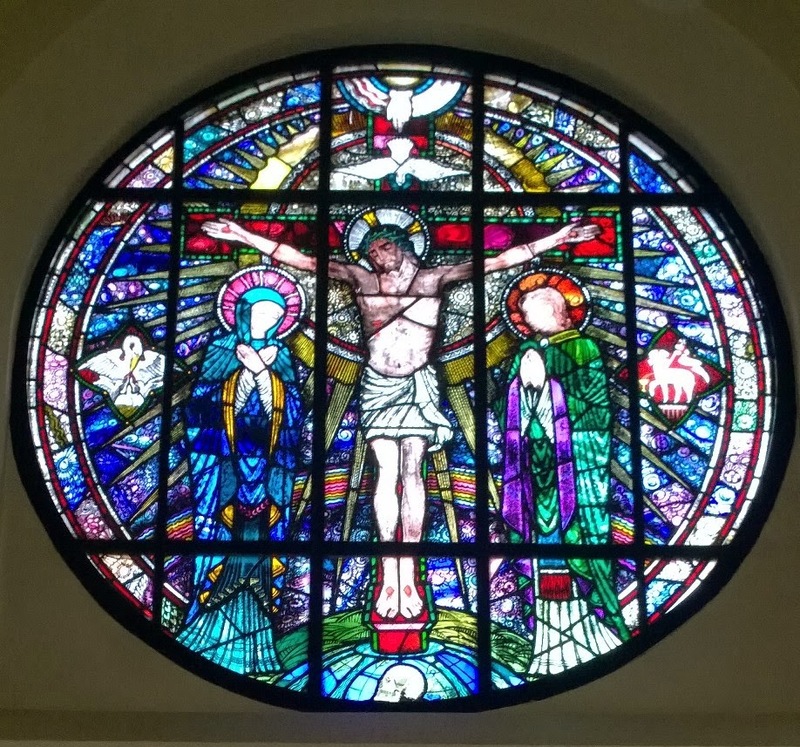 The rose window over the East end depicting the Crucifixion.